Into each a life a few wonderful dogs must fall. For me Ella (aka CH Davenitch Someone to Watch Ovr Me FB) is one of those dogs. 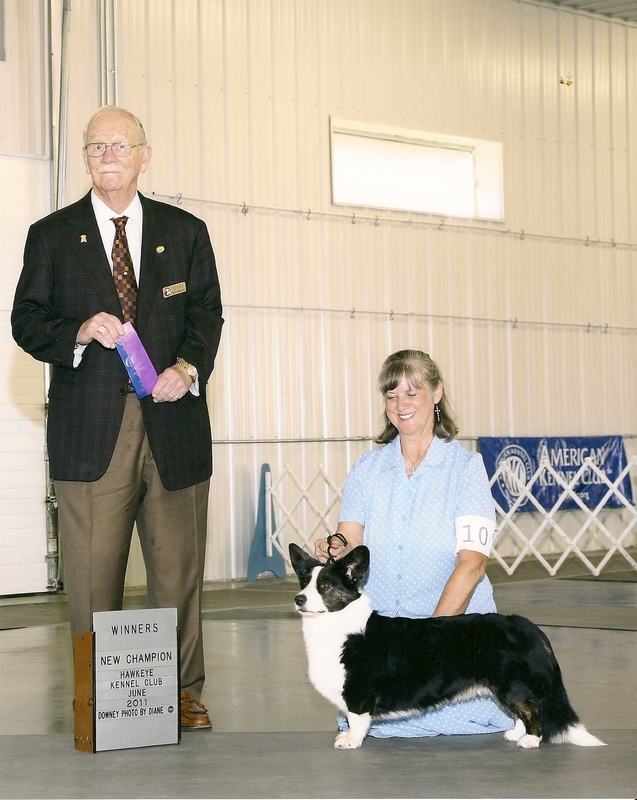 She won her first 3 pt major at just 6 months, and she would finish 2 years later with her 4th 3pt major at the Hawkeye Kennel Club in 2011. She is not only a lovely dog to look at she is the kind of “gal” you can take any where and know that she will charm all comers. I have often said of her, that she could be dropped into a herd of elephants in Africa and she would quickly find a way to make all them her friends. 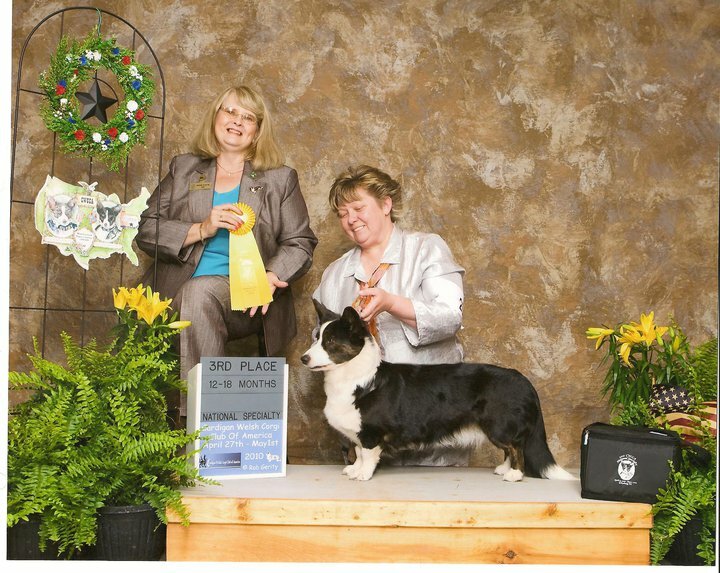 CH Davenitch Someone to Watch Ovr Me takes 3rd in her 12-18 month class at the 2010 National Specialty under the late Judge Marianne Gladstone. Thanks to Connie Whan for trusting me with this special angel, and for showing her to Championship! 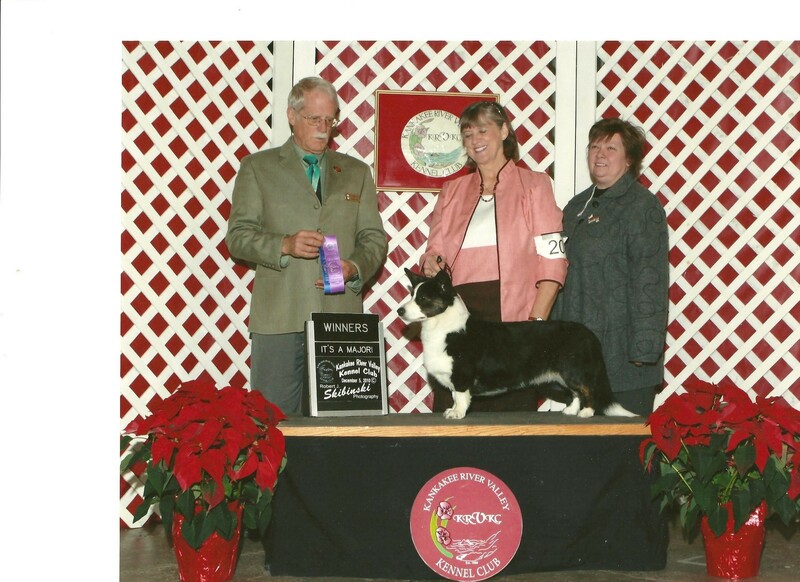 Thanks to all the following judges who saw her beauty: Judge Ruth Tessendorf, Judge Jane Kay (1st major), Judge David Guempel, Judge Kimberly Meredith -Cavanna, Judge Robert Frost (2nd major), Judge Walter Sommerfelt (3rd major), Mr Paul Thomann (4th major to finish). 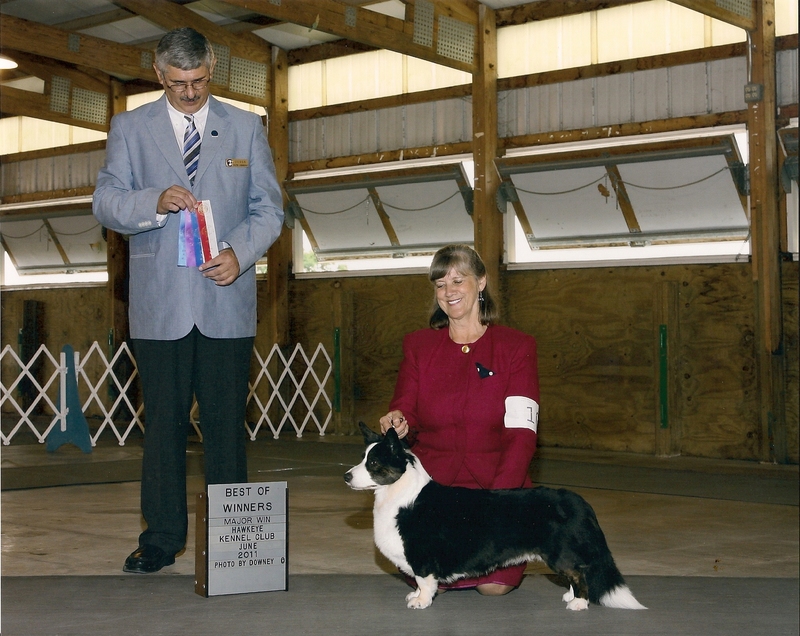 And a special thank you to the late Marianne Gladstone for granting me the great honor of placing us 3rd in our 12-18 month class at the National Specialty in Gettysburg, PA 2010.